At Rolling Hills we live for camp. We are devoted to giving your camper an extraordinary experience. Fun, friendship, and growth are the cornerstone of a Rolling Hills summer. Our enthusiastic and nurturing staff, top-notch facilities, and incredible range of activities create every imaginable possibility for summertime fun. The Place for Summer Fun! Whether campers are splashing in one of our three heated pools, hitting a home run in our sports leagues, or zipping around on our go-karts—these moments at Rolling Hills are bursting with energy and thrills. Summer FunRolling Hills campers know that laughter and excitement await them at every turn. Our picturesque setting, pristine grounds, and top-notch facilities make Rolling Hills the perfect backdrop for adventure. And it’s all led by our qualified, high-energy staff. No two days at Rolling Hills are ever the same, but every day is filled with fun! Rolling Hills campers are confident and engaged. They are adventurers. They are athletes. They are friends. They are leaders. 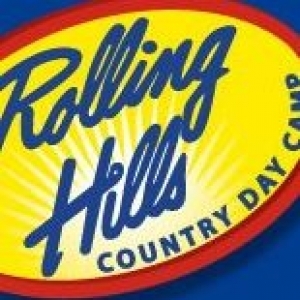 Rolling Hills exciting programs and experienced staff offer campers the opportunity to test new skills in a safe, supportive setting. Age appropriate activities and equipment ensure continual growth and success. As campers challenge themselves in sports, arts, swimming, and adventure activities, they build confidence and skills. Whether sharing lunch with a new friend, learning to swim underwater, or stepping on stage for the very first time—these special moments at Rolling Hills are the heart of a phenomenal summer.